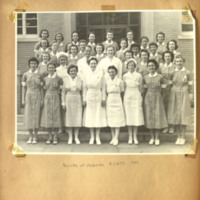 Photograph of the faculty and students of the Red Cross Nurses Training Camp in 1941. Photograph of students in medical training. 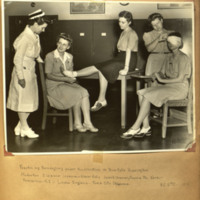 Caption reads "Practicing bandaging under the instruction of Miss Ruth Harrington." 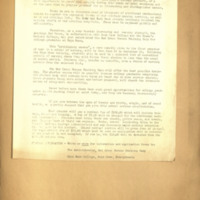 Letter from the American Red Cross informing the reader of the establishment of the Red Cross Nurses Training Camp for college graduates at Bryn Mawr.